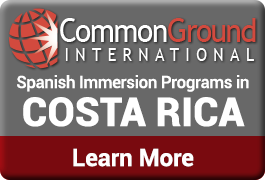 Both IB Spanish and AP® Spanish curricula require you to submit writing samples in Spanish. The High School Spanish study app helps you prepare for these Spanish tests as well. 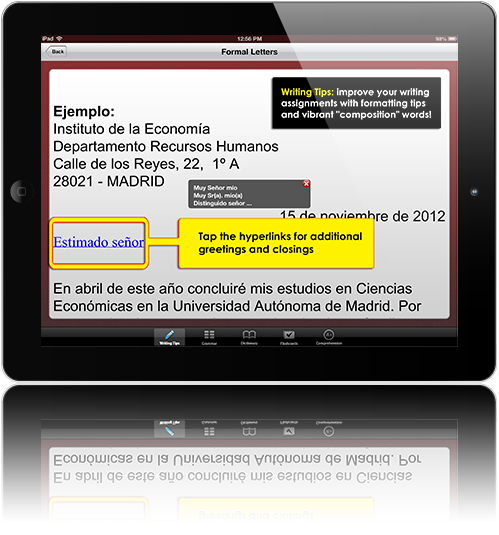 Learn Spanish the easy way and save time with this special App for AP Spanish Langauge exams. 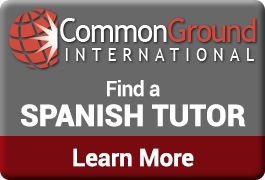 We’ve included 14 different types of spanish vocabulary that you may have to know for your various writing assignments in class and for Spanish homework. Each different type of Spanish text contains Quick Tips about style and register, helpful formatting tips, and examples. Additionally, you have key lists of Spanish transition words and other composition words that make it easy to get that A on your next writing assignment! Hyperlinked greetings and closings give you Spanish vocabulary variations for the basic greetings and closings of letters, emails, etc. Links to REAL resources. Many of our Spanish writing tips include links to websites in Spanish where you can see an article, or instructions, etc in a real-life context. Useful composition words in vocabulary list form for quick reference. If you have to submit any writing samples in Spanish – get the High School Spanish App today so you don’t lose silly points on formatting!